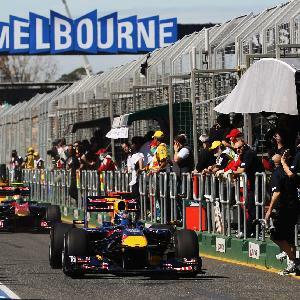 The Melbourne Formula 1 Grand Prix is held every year around the picturesque Albert Park Lake, which is ideally situated only 3 kilometres from the Melbourne CBD. 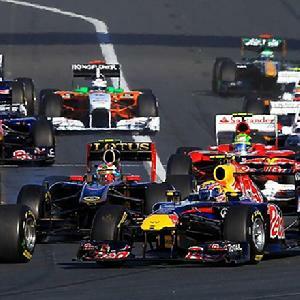 The hotel, motel and serviced apartment accommodation in and around the Albert Park and Melbourne CBD area will fill up very quickly once the dates for the Formula 1 Grand Prix are annouced. Therefore it is advisable to book well in advance once the dates are released. General Admission tickets prices range from FREE on Thursdays to $100 for the race day on Sunday. There are also 4 day passes available from $185 and family passes available from $350. The price is more expensive if you wish to be seated in a stand and the price varies according to which stand you are in. From the Melbourne city centre the best way to get to the Albert Park Grand Pric Track is to take the tram. You can either take the number 112 tram from Spencer Street down Clarendon Street to the circuit or any number of tram routes (3, 3a, 5, 6, 16, 64, 67 and 72) from Flinders Street station down St Kilda Road and then walk the 200 metres across to the eastern entrances of the venue. 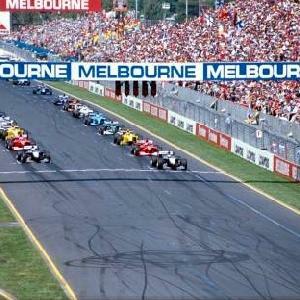 The accommodation provided by the Crest on Barkly Hotel is ideally positioned in St Kilda just a short walk from the Albert Park formula 1 track, as well as the the restaurants and bars along Fitzroy Street. Also the city centre, Luna Park and St Kilda beach are just a short tram ride away from this quality St Kilda accommodation. 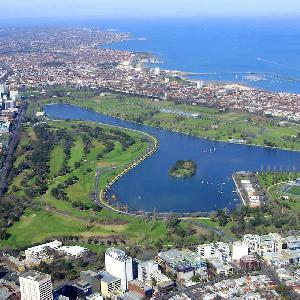 Being located adjacent to the Albert Park grand prix track, the picturesque lake and golf course is what makes the Bayview On The Park the perfect accommodation for the Melbourne Formula 1 Grand Prix. The property is ideal for business or leisure travellers because it is close to everything that the city has to offer as well as having numerous guests facilities and services. The Bayview Eden is a luxury hotel that is perfectly situated opposite to the beautiful Albert Park Lake, which is the home of the Melbourne F1 Grand Prix. This quality hotel accommodation is also located just a short tram ride from the Melbourne CBD, Federation Square, St Kilda Esplanade, cosmopolitan Chapel Street and the famous Southbank precincts. Darling Towers provides all types of travellers with serviced apartment accommodation in cosmopolitan South Yarra close to trendy bars, cafes, restaurants and boutique shops. With self contained 1 and 2 bedroom apartments Darling Towers is ideal for short stays as well as having cheap rates for extended stays. The Aria Southbank has a wide range of serviced apartment accommodation that is ideal for corporate business travellers and holiday makers. Guests staying at the Aria Southbank Apartments can choose from 1, 2 and 3 bedroom fully self contained apartments that are within easy reach of the CBD, formula 1 track, Crown Casino and the Melbourne Exhibition Centre.